The Government of Somaliland has confirmed that the Somalia federal government has Officially complained to the United Kingdom as pertains a visit by its Defense Secretary to Hargeisa. 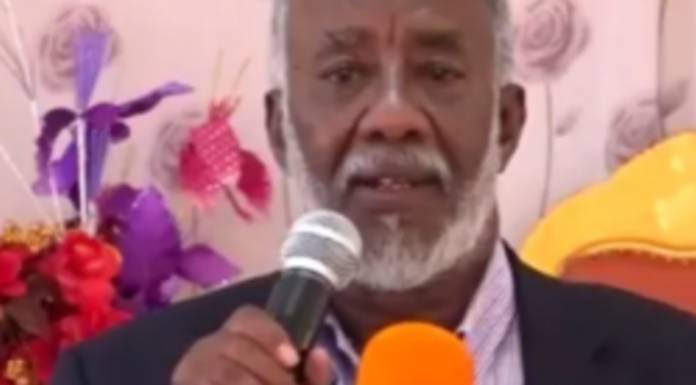 The confirmation was made by foreign minister Yassin Haji Mahmud ‘Faraton’ during an interview with Geeska Afrika in Hargeisa where he also denied rumoured appointment of fully fledged British ambassador to Somaliland, as well as deals to have the friendly European country establish a military base. Q- Can you brief on the said establishment of military base in Somaliland by the United Kingdom? FM- Though am not sure where these stories arise from I can confidently inform you that the governments of these two friendly countries have never at any time broached the subject. Q- what of circulating rumours to the effect that the Somalia Federal Government has submitted a letter of complaint against the recent visit by UK’s Defense Secretary Gavin Williamson? Q- what of the reported appointment of a fully fledged British diplomatic envoy to somaliland? FM- There isn’t a Briton appointment to act as that country’s ambassador to Somaliland, YET, though our two countries enjoy long standing and fruitful multi-faceted relations. What I can confirm is that only changes see. At the UK diplomatic mission on Hargeisa is recalling of the lady who used to be in charge. The Somaliland foreign minister concluded by urging local media houses and journalists to pursue ethical and factual reporting at all times.